Press releases are a simple way to get your brand, your product — or in this case, your book — out into the world. 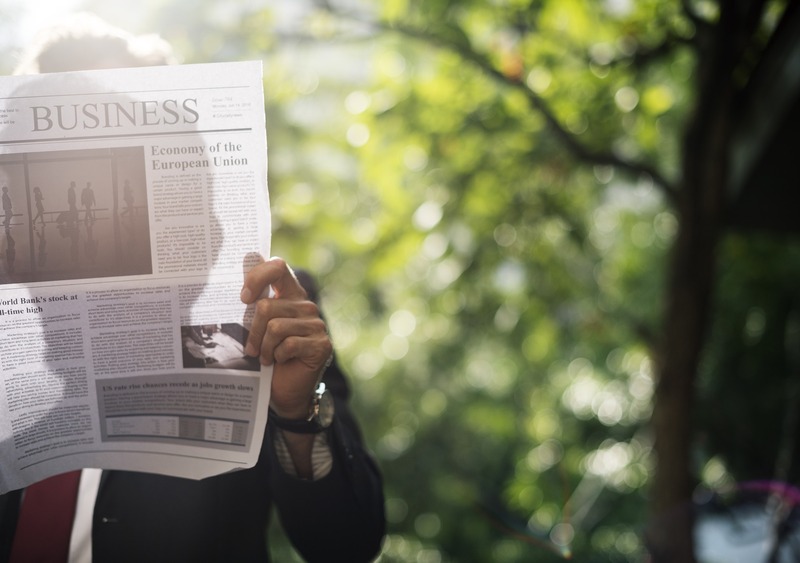 A press release is a piece of public relations content that announces something newsworthy about a person, corporation or product. Press releases are usually one or two pages in length, and are directed at media outlets to gain media coverage. But as writers, it almost goes against our nature to toot our own horn; it is undoubtedly more difficult to write about ourselves than it is to write about others. However, when part of a greater marketing plan, press releases can be an effective strategy for self-published authors to gain mainstream exposure. Here are three ways that self-published authors have made it work. Brian Tashima is the author of The Joel Suzuki sci-fi fantasy series about a teenager with Asperger’s syndrome who travels to a world where music is magic and autism is a superpower. Inspired by his autistic son, he self-published his books to give kids on the autism spectrum a literary hero they can call their own, and to help support nonprofits that have an emphasis on diversity, disability and the arts. Before each release, Tashima has tried a number of different pre-publication marketing strategies. These include soliciting reviews from bloggers, making the e-book version available for pre-order, and drumming up interest via social media. But the one thing that has been the most successful for him is sending out press releases. “By doing so, I’ve been able to obtain coverage in my local news outlets as well as by websites with a larger reach, like TheMighty.com. I typically set up one or more launch parties for each book and then send out the press releases about a month in advance, and I stress to the members of my email list that their support for these books translates directly into support for all of Autism Empowerment’s programs and services,” Tashima says. Tashima donates one dollar for every book sold to Autism Empowerment, a nonprofit organization based in his hometown that is dedicated to improving the quality of life for people and families in the autism community. He has successfully connected his book to a greater cause — and one that helps him get the attention of the media. “It helps that I have a hook, but I think that any author can find a topic related to their books that can serve as an interesting story or tie-in — for example, another indie author in my area who writes vampire novels combined one of her launches with a blood donation drive,” Tashima says. When award-winning journalist Don Allison co-wrote Hell on Belle Isle: Diary of a Civil War POW, it instantly grabbed the top spot on the Richmond, Virginia, bestseller list. This is largely because it was jump-started by pre-publication press releases and interviews in areas with Civil War interest, such as Georgia where the National POW Museum is located. The book is based on the journal kept by Sergeant Jacob Osborn Coburn of the 6th Michigan Cavalry (a unit in the famed Michigan Brigade) while he was a prisoner of war at Belle Isle prison camp in Richmond, Virginia. Working about two to three months ahead, he started building connections with local media about any tie-in his book had that was specific to their beat. Schedule at least three months before your book’s release date to prepare a list of potential local institutions that have a shared interest in your book’s subject, and start approaching them right then. By fostering local connections ahead of time, you can avoid the post-launch scramble that many self-published authors find themselves in. Kimberly King is an author of children’s books and a sexual abuse prevention volunteer who conducts seminars for teachers and parents at Darkness to Light. She has recently re-published I Said No! A Kid-to-kid Guide to Keeping Private Parts Private. To market the its re-release, she wrote a press release and updated information on how to keep kids safe from the online threat of sexual abuse. Because high quality visuals are so essential to marketing — particularly with children’s books — she enlisted the help of a professional photographer to take pictures of her books in the hands of children, before posting her release on social media. “Quality photos really generate attention online. I posted my press release on my website, my blog, Facebook, Amazon, and Goodreads. I sent local news media outlets the press release as well — a few picked up the story!” says King. Before you send off your press release to PRWeb or another distributor (and/or self-distribute to media outlets of your choice), consider hiring a professional to snap pictures of your book at a local event or in the hands of a reviewer. Self-published authors know all too well that book marketing can get expensive. Luckily, authors don’t need the marketing budget of a department store to get media attention, because they can use a powerful tool that they already have at their disposal: their own writing skills. Have you written a press release for your book? Let us know in the comments! Samita Sarkar is a freelance writer, editor, and self-published author. You can get a free copy of her self-publishing guidebook, Savvy Self-Publishing, here. Great post Samita. You’ve mentioned The Mighty. Any ideas on other press release platforms one can use to promote books and other products? Why not try local/community papers? If your press release is tied to an event, like a book launch, it’s also a good way to attract attendees. An excellent and informative post. Thank you. I will keep these tips in mind. Please watch out for online press release services. These are usually a waste of time and money. If you are going to use press releases, which we always recommend, please get some sort of professional assistance at least up front, with the strategy, writing/angles, and the distribution list to targeted journalists. A one-time ‘book announcement’ press release is NOT effective. Media builds on media and you also have to present your information in a professional manner. Journalists receive hundred of releases a day so if you don’t respect their professionalism they are less likely to pay attention. We have a PR Starter Kit for this reason because we work with a lot of indie authors who may not have budgets for a full blown PR campaign and there are some ways to DIY.